Manhole steps | Iverna 2000 S.L. Our manhole steps are designed to fit any surface, curved or straight in one single step. 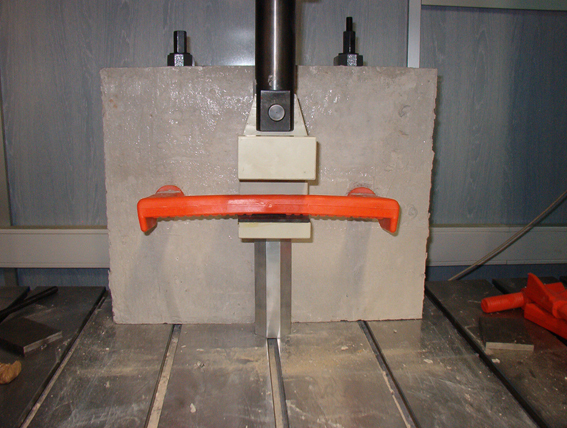 We use state-of-the-art technology in the manufacture of our manhole steps. We innovate and improve our products to create reliable solutions for construction. 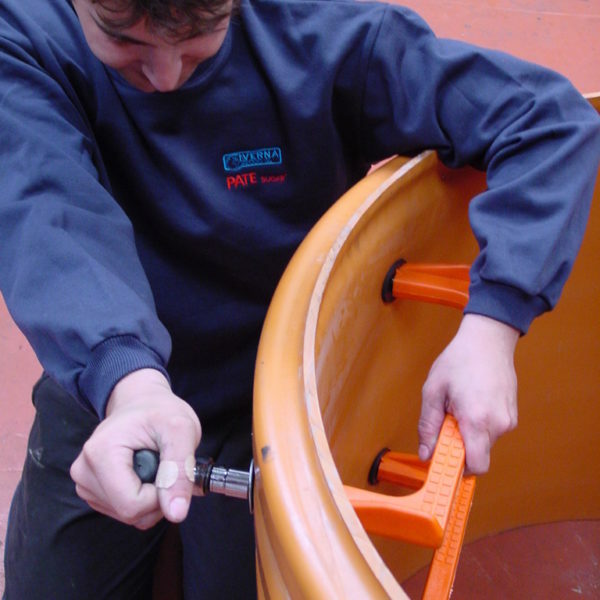 We manufacture the most durable and safe manhole steps, complying with EN 13101 standards. WE USE VIRGIN / NOT RECOVERED PLASTIC. 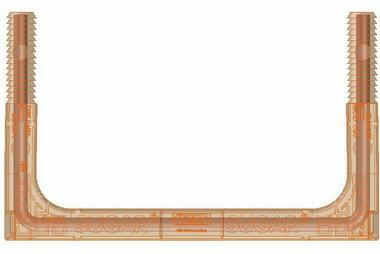 Pate Sugar is manufactured with non-recycled polypropylene copolymer and high-quality steel (B-500 standard) to ensure durability and long life of the step. We do not use recovered materials on any of our models, ensuring the highest durability, strength and long life of the steps, with great performance despite the aggressive environments found in wells and their temperature changes. The recovered materials used by other providers are not guaranteed to be a homogeneous and unique material. The various materials that make up the recovered plastic have different coefficients of expansion, therefore when the plastic cracks, it begins the oxidation process of the inner steel, causing the destruction of the steps. SUPERIOR QUALITY – We not just say it. We proved it. 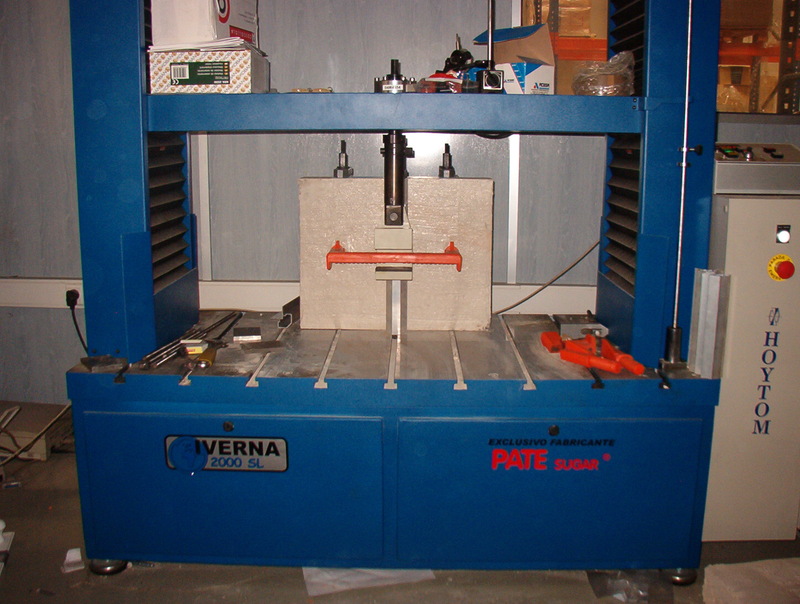 At Iverna 2000, we are proud of our products and our manhole steps are all about quality. We have our own lab for testing our steps, to make sure we meet and exceed all quality standards in accordance with the mandatory European Standard EN-13101. We test our products every 1000 units produced and all our shipments are accompanied with a detailed report that is specific to that production batch and all required documentation in accordance with European norm EN-13101. 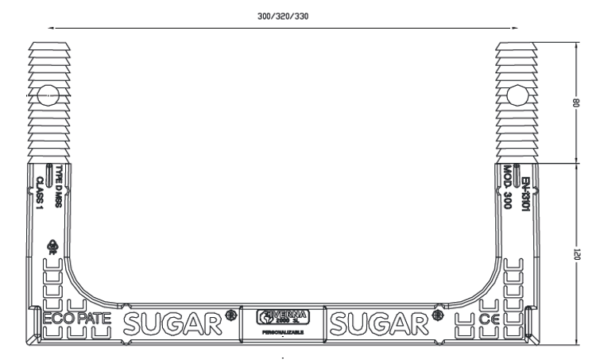 PATE SUGAR® is manufactured with non-recycled polypropylene copolymer and high-quality steel (B-500 standard) to ensure durability and long life of the step. It´s the only step on the market that complies with and surpasses the European norm EN 13101, American norms ASTM C-478 and C-497 and German norm DIN 19555. 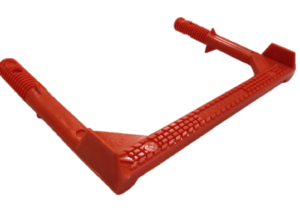 Our modern line of manhole steps has doser grooves for chemical plugs and crash limit for a perfect fit. It has a great ergonomic design with slip proof grooves and customizable slip proof rung. One fits all. Our modern line of steps can be used for both curved and straight surfaces, thus minimising the stock. ECOPATE is our most economical and ecological manhole step that meets all quality standards and safety regulations, providing excellent performance and durability at a great price. It is manufactured with non-recycled polypropylene copolymer and high quality steel (B-500 standard). Adaptable to curved and straight surfaces. An ergonomic, compact, robust design, highly resistant to impact. PATE SUGAR® anchorable step is a versatile, insulating and liquid-tight step that can be applied to either plain or curved surfaces. 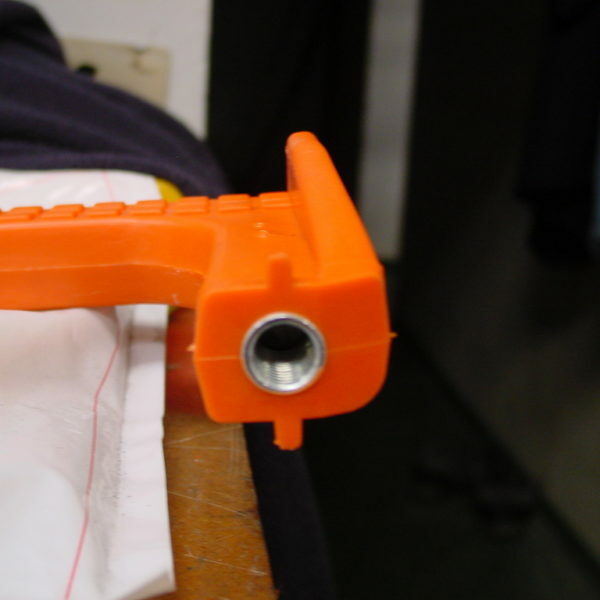 Customers are able to choose the type of binding screws needed. 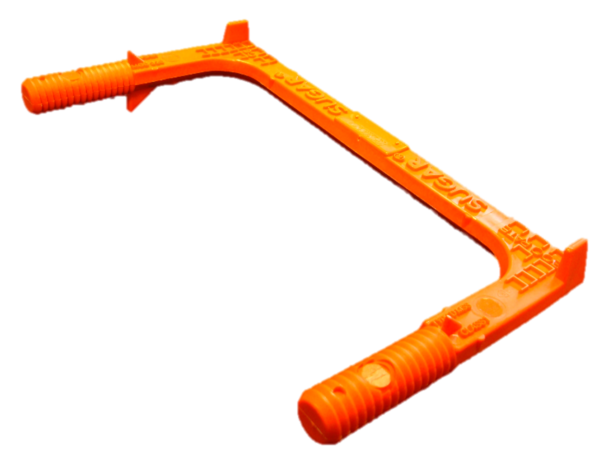 It is manufactured with a 12mm ribbed steel core, 100 % non-recycled Polypropylene copolymer, and 35 mm. and 12mm. 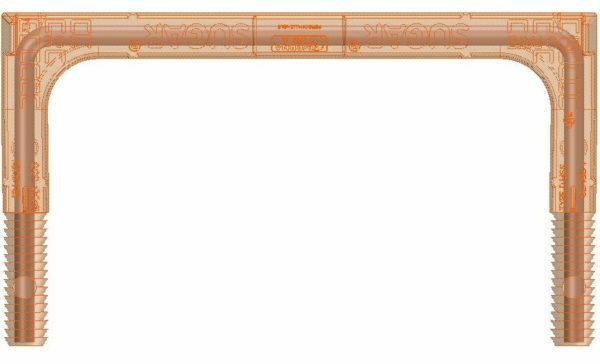 diameter ferrule tips. 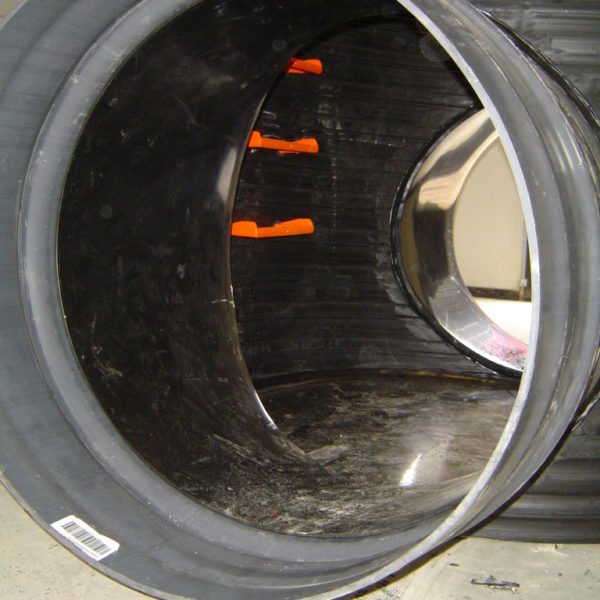 Manholes made from fiberglass, PVC or even concrete. Containers and Lorries, tanks and dumpers. Silos made from fiberglass or steel. Various structures made from wood or steel. At Iverna 2000 we are pioneers in manhole steps and we are always striving to be in the forefront of innovations, by developing special steps and solutions to suit different needs and requirements. 400 C-R and 400 C-R PLUS steps are the only manhole steps on the market that exceed and surpass the quality tests and standards established by LPRL 31/1995 law, Law of Prevention of Labour Risks and Royal Decree 486/1997, for security and health in working places. 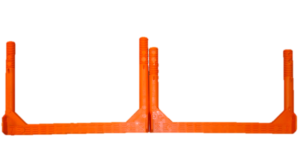 It is manufactured with non-recycled polypropylene copolymer and high-quality steel (B-500 standard). 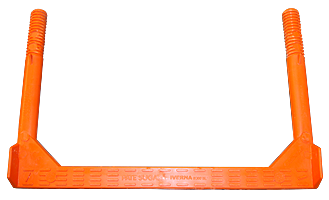 Our Sugargrip manhole step has an extra non-slip rung that offers greater grip and comfort than the traditional steps. Made with non-recycled polypropylene copolymer and high-quality steel (B-500 standard). 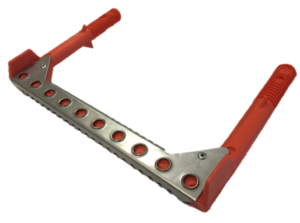 Designed for intensive use, Inoxgrip comes with extra grip made in stainless steel to evacuate the mud from the work boots, having an extra security during the assent and/or descent of the operator. This MARINE Step is manufactured using a 12mm ribbed bar of stainless steel with quality AISI-304 o AISI-316 and the polypropylene is protected by a master that prevents damages and deterioration in the long term caused by sunlight and ultraviolet. It is ideal for docks and all kinds of aggressive environments. Manhole step made with polypropylene copolymer 100% virgin for excellent strength and durability of the step, reinforced with zincate steel of quality. 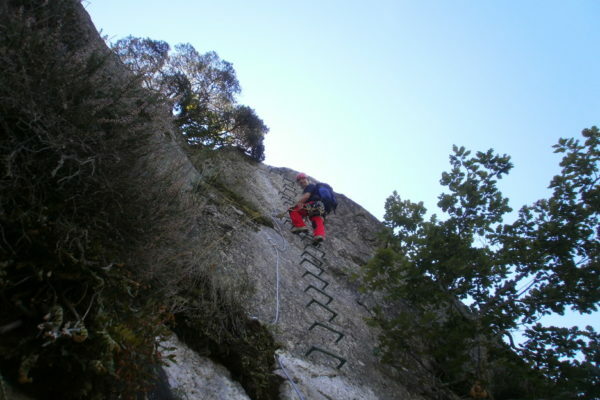 Our mountain steps are specially designed to be integrated into a background of mountains and coasts and provide invaluable aid when accessing difficult places. 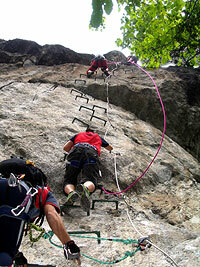 The mountain steps are environment-friendly and do not degrade or pollute. They are available in green, brown and white colours, so they go unnoticed in natural environments as they easily camouflage among stones and vegetation. 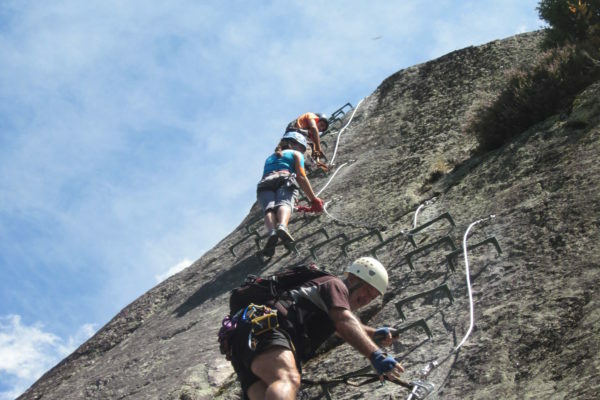 They are a great solution for safety in the practice of high mountain sports such as climbing or alpinism. 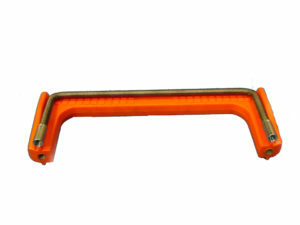 Manufactured with a stainless steel rod of great hardness 85kg / mm² and Ø12mm, to guarantee the safety of climbers. The steps are also covered with polypropylene plastic of high impact, UV protection to avoid damages caused by the sunlight. It has a non-slip runj and fins on the sides, to stop tyou from sliding and avoid lateral falls. 1. Visual and appearance test. We visually inspect each piece to make sure they do not have protrusions or sharp edges and have correct shapes and aspects. At the beginning of production and 5 pieces in batches, we verify that the height should not vary from 5mm, from the crosshead end along its length. At the beginning of production and 5 pieces in batches, we verify that the pate has the capacity to withstand an initial load of 2.0KN, during which its deflection will be equal to or less than 10.0 mm, after removing said load, its deflection will be equal Or less than 2.0mm. For final load of 4.0KN, deflection without load 10.0mm. At the beginning of production and 3 pieces per lot. Method 1: Pates anchored at the factory. Block of 100x400x500mm. Concrete class c35 / 40 ISO 3893 with cement EN 197-1-CEM I 32.5N. Method 2: Pates anchored during construction. Wall of 1x1x0.225m. Applying a force of 5KN before 60sec. And maintain it for 60sec. At the beginning of production and 5 pieces per lot. 20KG knocker, from 1m high without breaking, thanks to our 100% virgin material, the pate withstands the impact, while the covalent bonds remain seamless. 6. 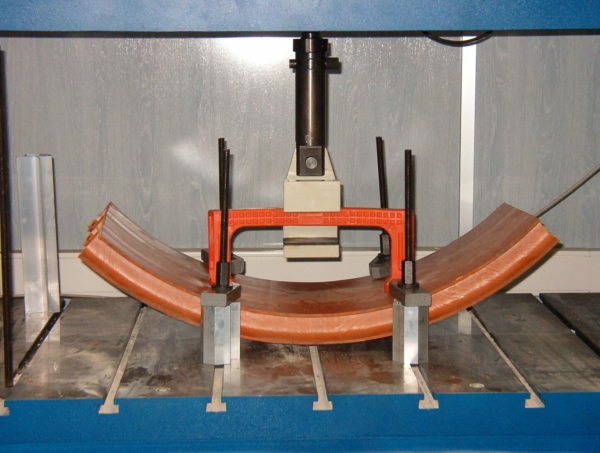 Integrity test of the plastic coating. We drilled the pate and immersed it halfway with 10mm of exposed metal in a solution of sodium chloride (3%) and a liquid agent (0.25%) for 30 min. We connect one electrode to the exposed metal and another to the submerged metal. We do the same with the other half after drying out. Measurement greater than or equal to 1MW. 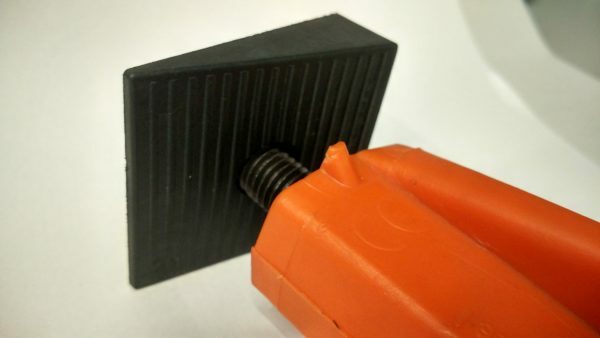 We drilled one end of the pate, connected one electrode to the exposed metal and another to the test brush, which is passed through the entire plastic surface. Measurement equal to or greater than 1MW. We have additional tests for the European standard EN-13101 and for the American standards ASTM C-478 and C-497 with dosier, LPRL 3111995. Pate model 400 CR00A: Only foot in the market that complies with the law of prevention of occupational risks and real decree 486/1997, that governs the minimum provisions of security and health in the workplace. Demuestra que eres un humano. Por favor, resuelve la operación: 30 + 14 = ?